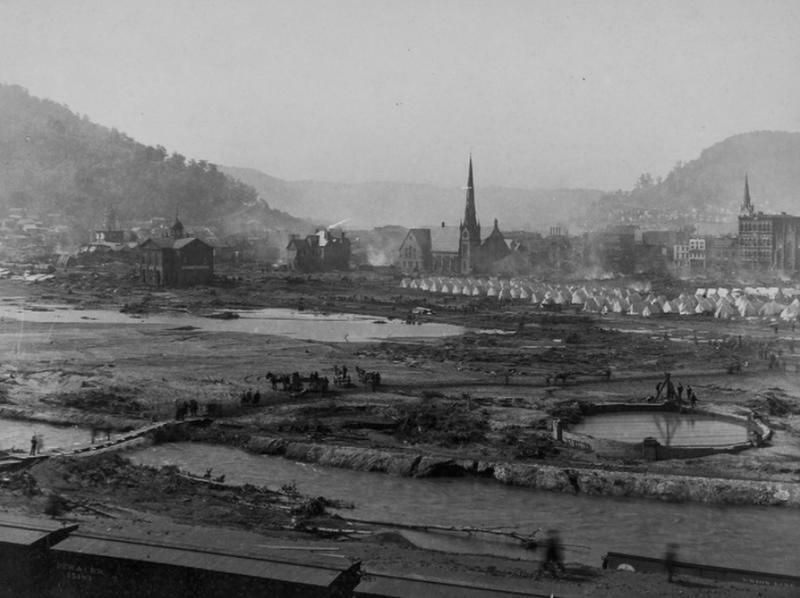 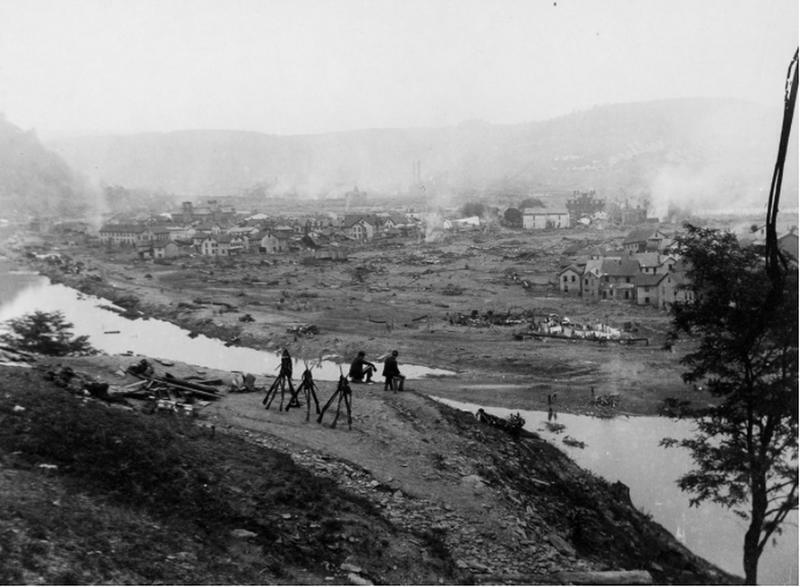 On the morning of May 31, 1889, after a night of heavy rain the artificial reservoir of Lake Conemaugh appeared to be on the verge of overwhelming the notoriously leaky South Fork Dam impounding it. 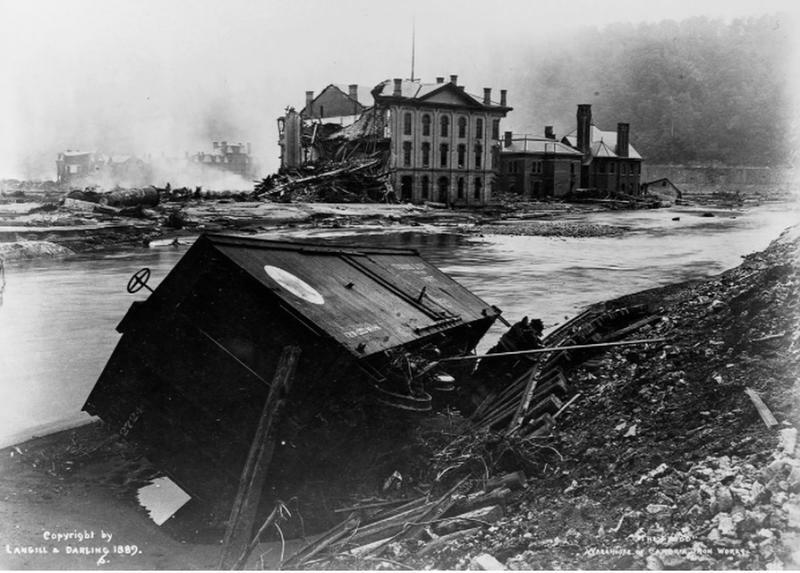 Elias Unger, the president of Pennsylvania’s South Fork Fishing and Hunting Club sent urgent warnings to nearby towns and rallied a crew to try to relieve the pressure on the dam by creating spillways, to no avail. 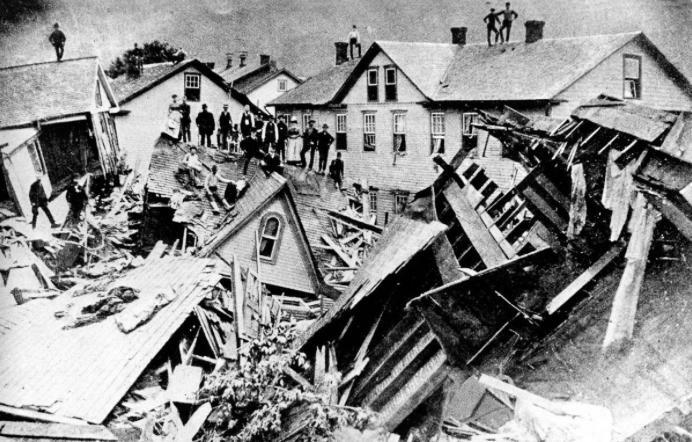 An hour and a half after Unger ordered his men off the eroding dam, it collapsed, freeing 20 million tons of water to charge downstream. 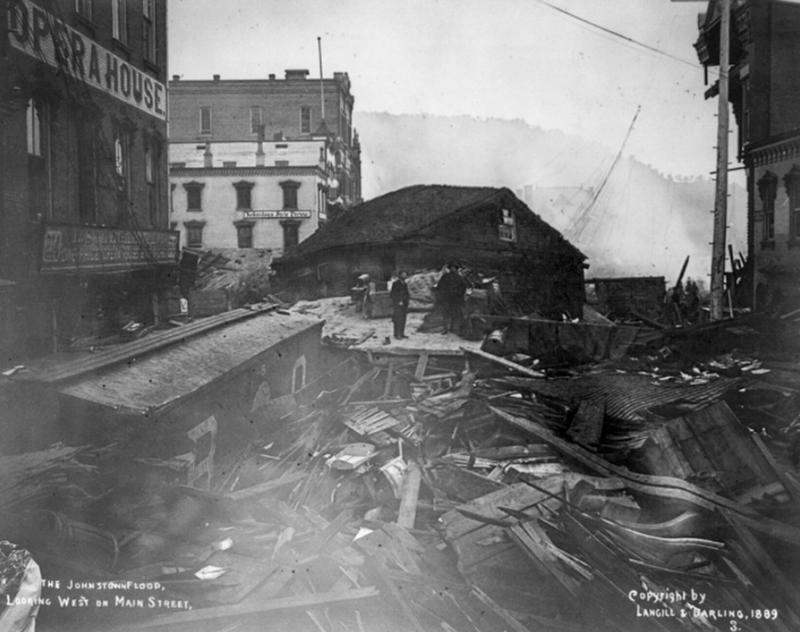 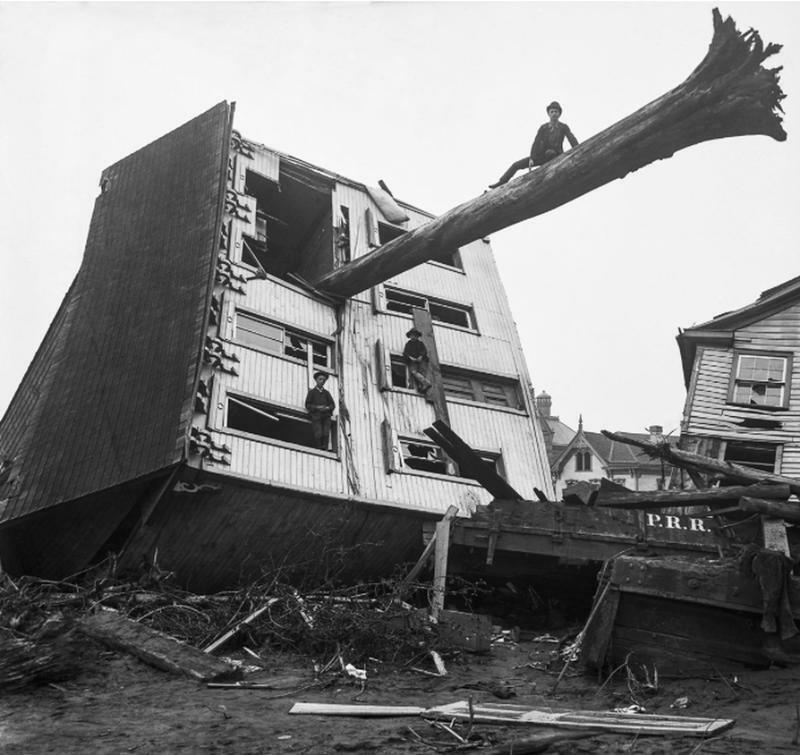 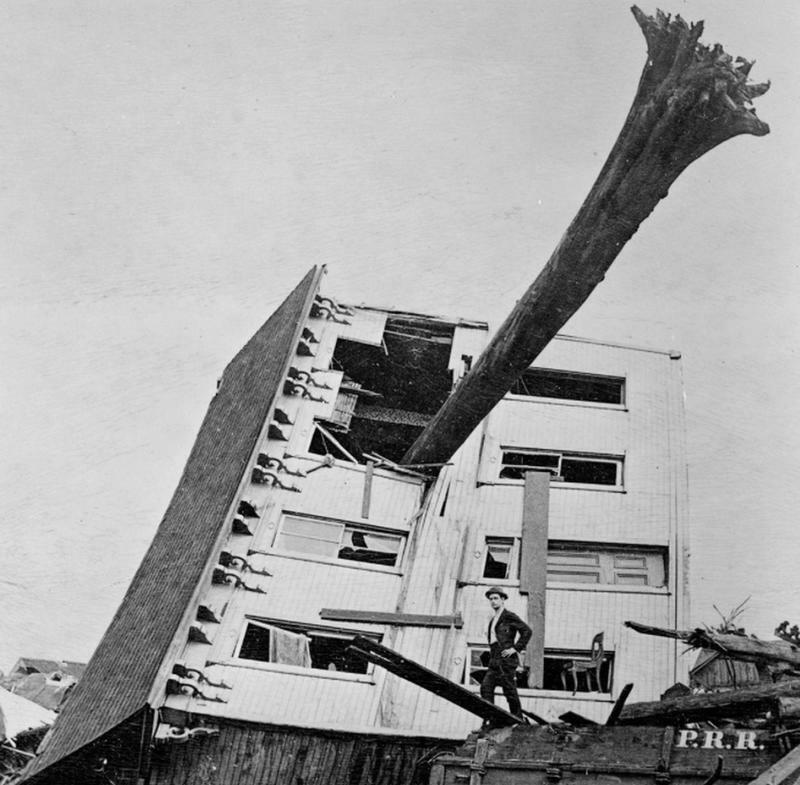 The torrent plowed through the town of South Fork, destroyed the Conemaugh Viaduct and erased the village of Mineral Point, picking up houses, trees, debris and momentum. 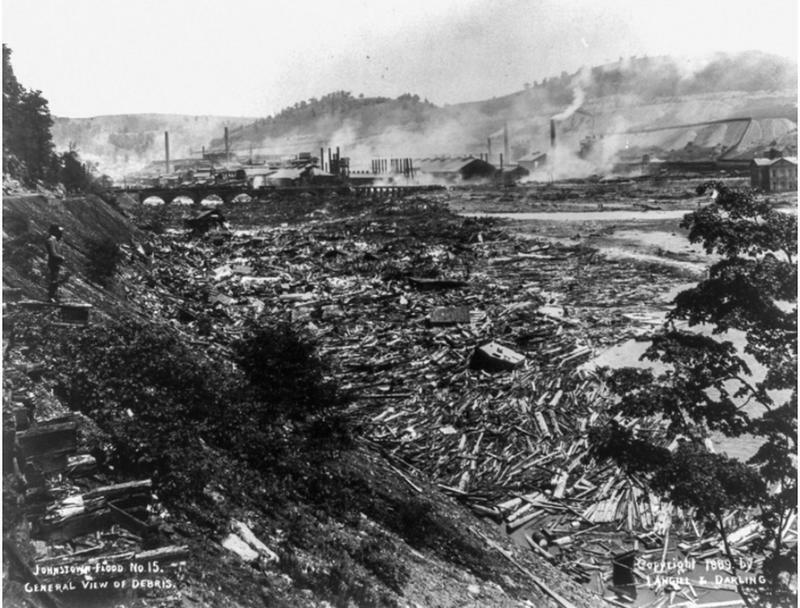 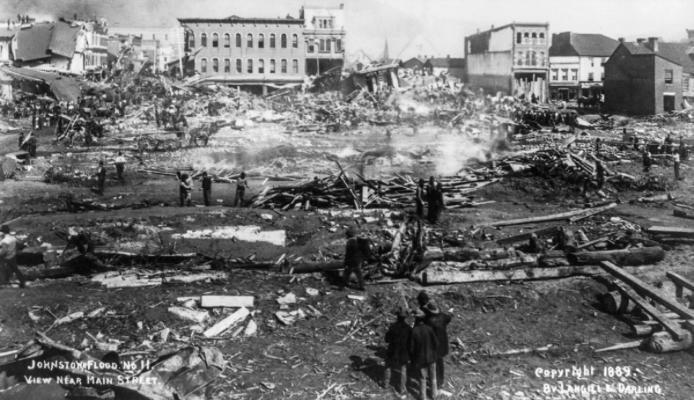 Railroad cars and miles of barbed wire were added to the churning mountain of debris as it rolled over factories in the town of Woodvale. 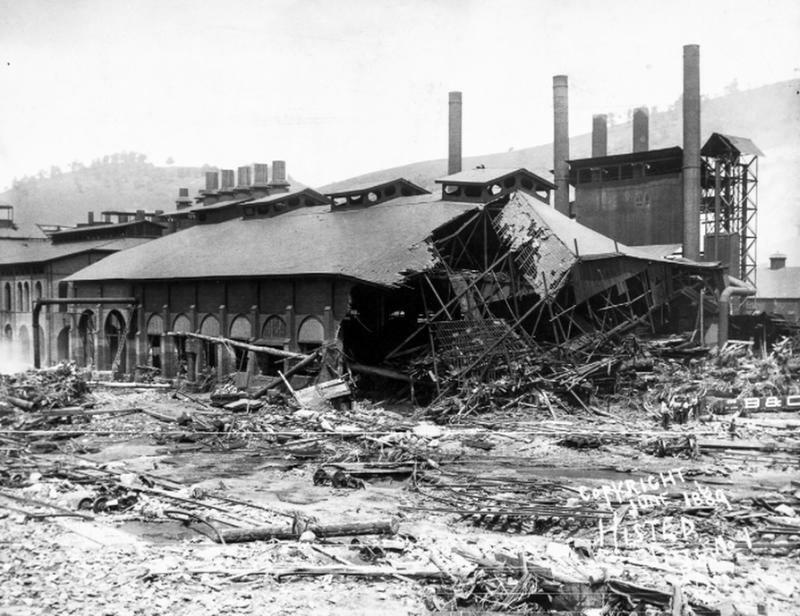 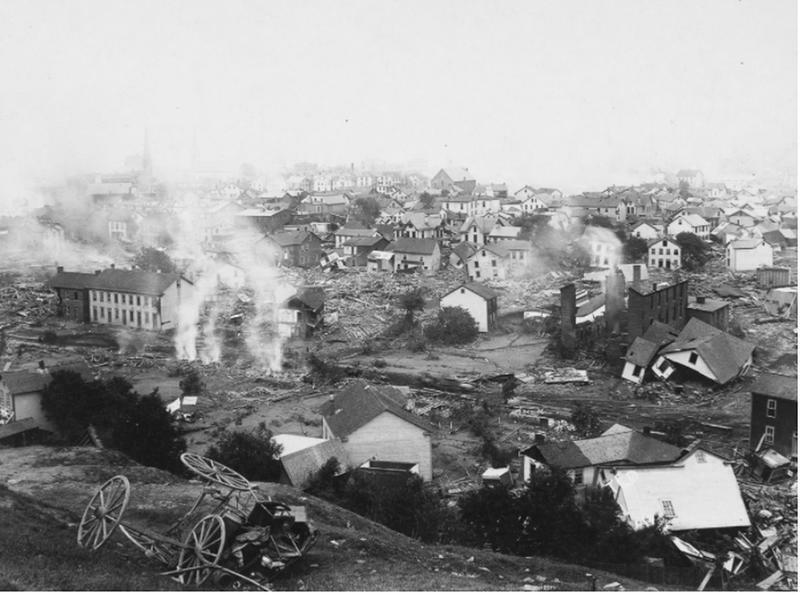 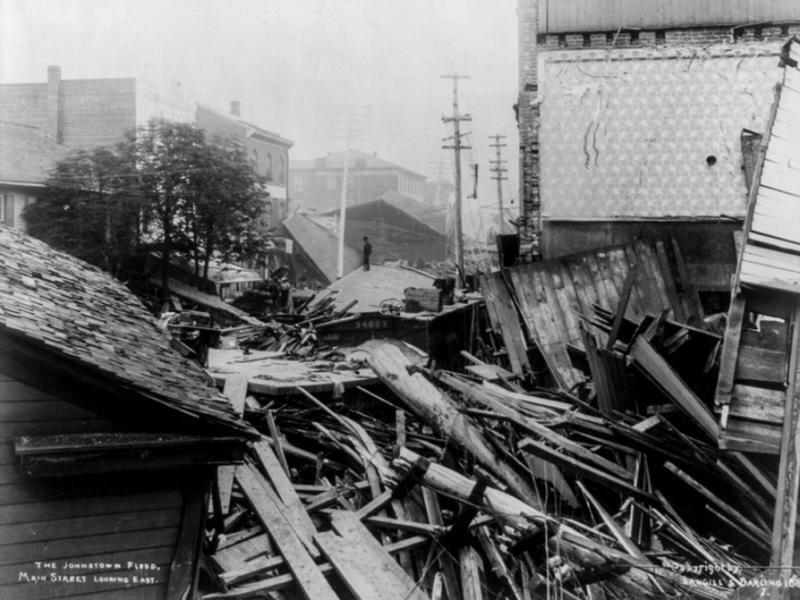 An hour after the dam’s failure, a 60-foot wall of water and debris smashed into the thriving 30,000-person community of Johnstown at 40 miles per hour. 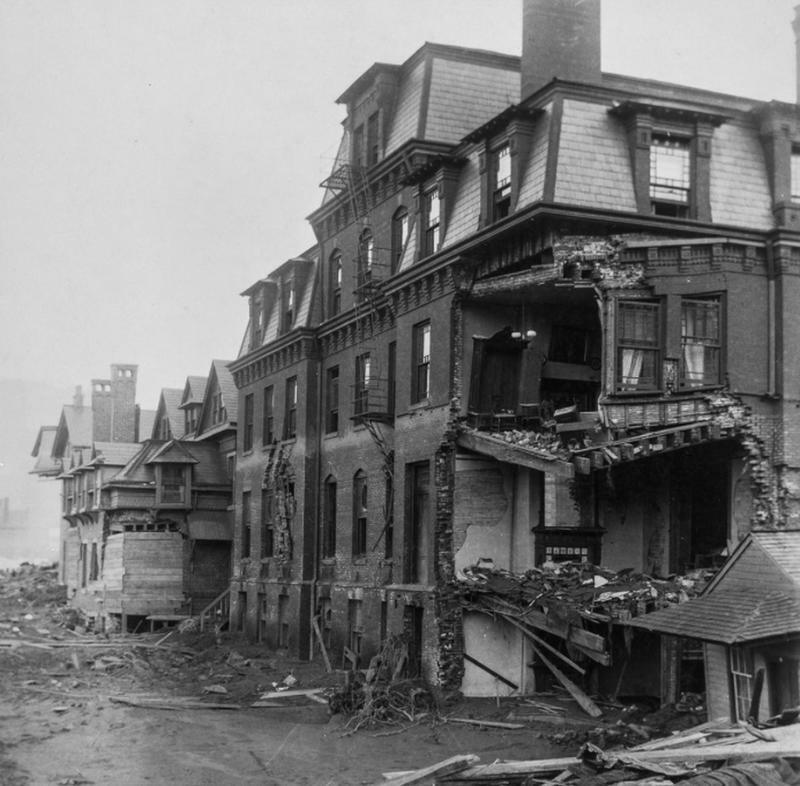 People who had settled into the upper floors of homes to wait out the floodwaters suddenly found their buildings uprooted and floating away. 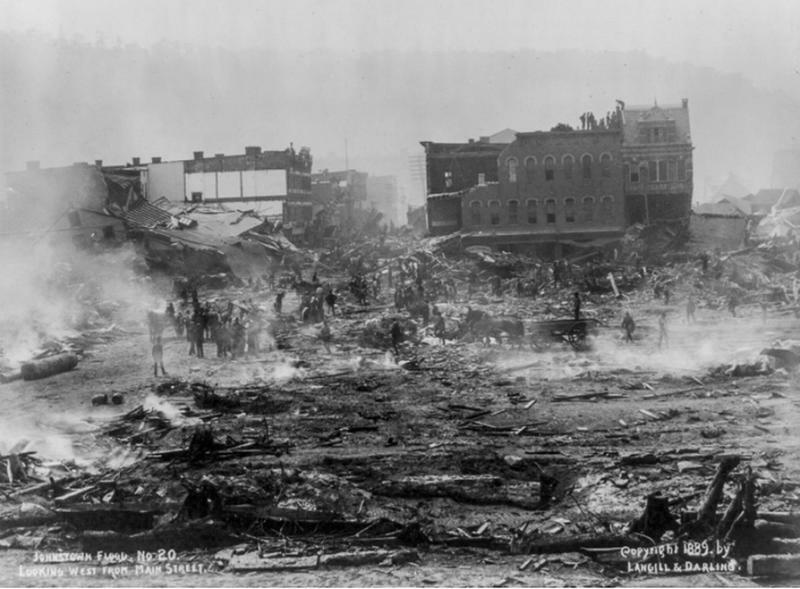 Thousands of people were swept away in moments. 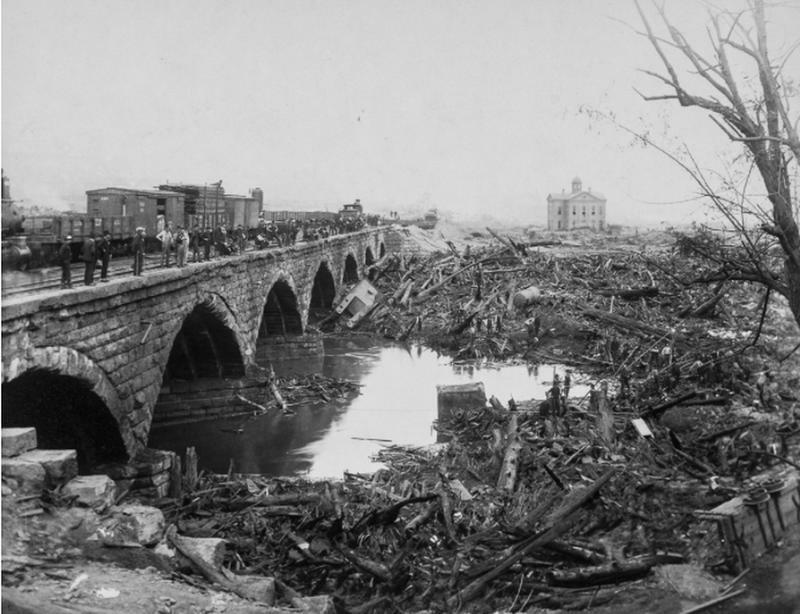 The mass of debris continued downstream before getting clogged against the Pennsylvania Railroad’s Stone Bridge, forming a temporary dam that sent the water bouncing back upstream again. 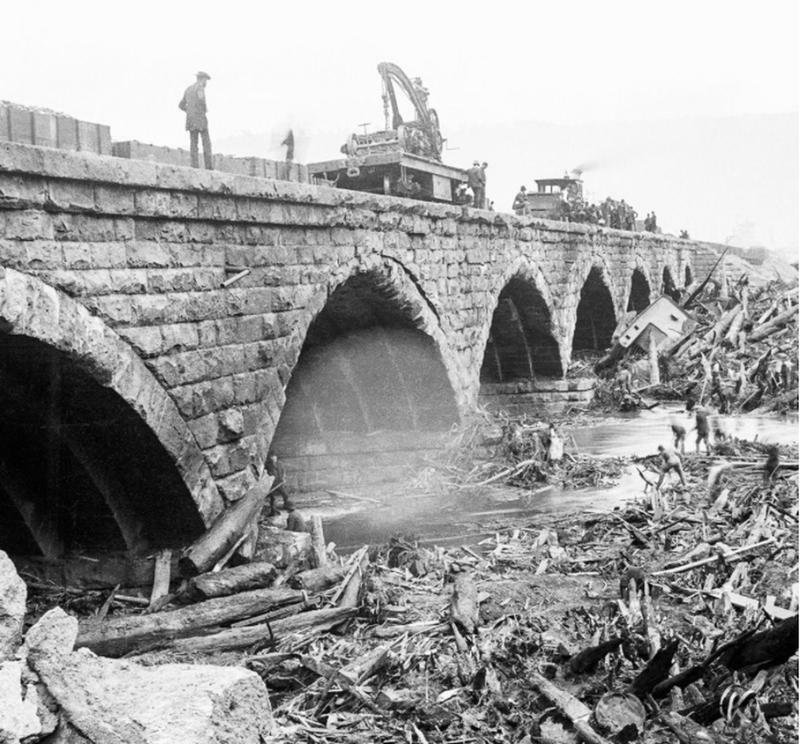 The mountain of debris piled against the bridge quickly caught fire. 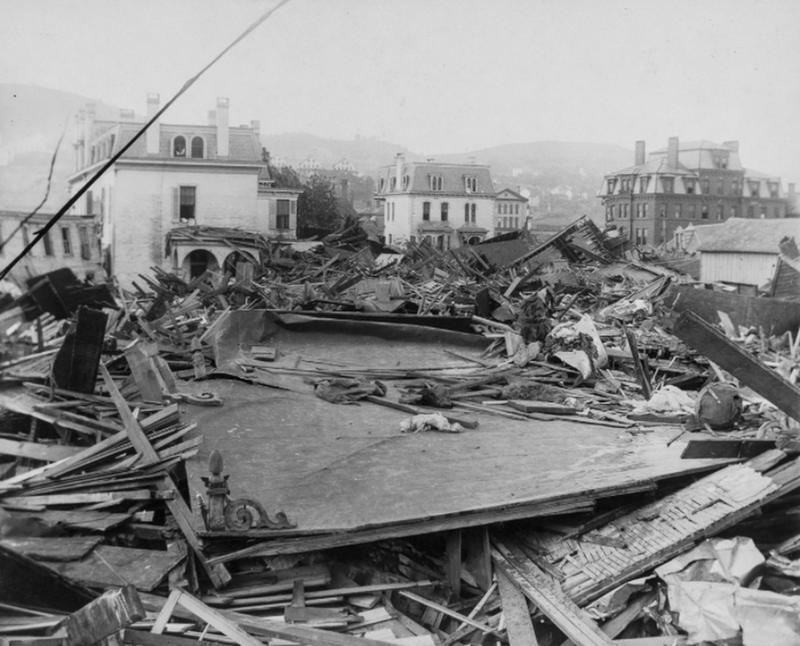 Dozens of people who had managed to cling to floating bits of houses were swept directly into a deadly inferno. 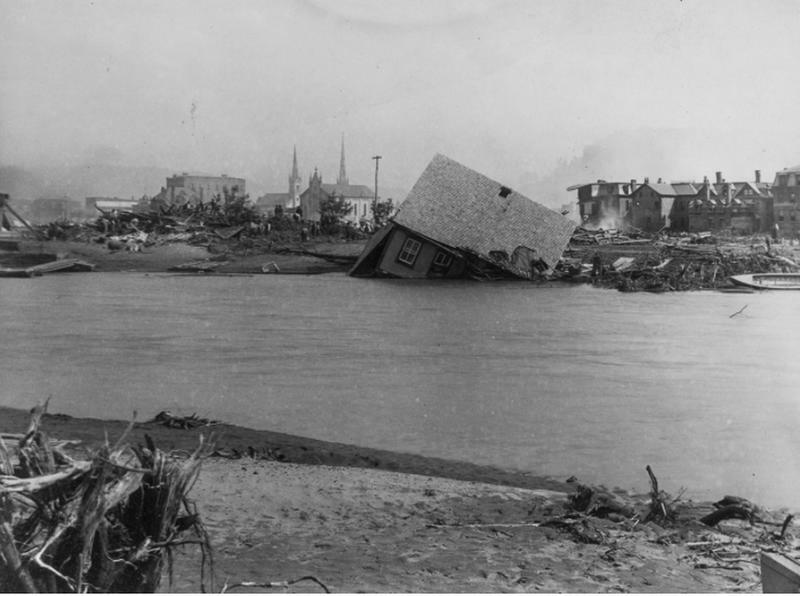 When the floodwaters finally receded, 2,209 people had died — the deadliest single disaster in the United States at the time. 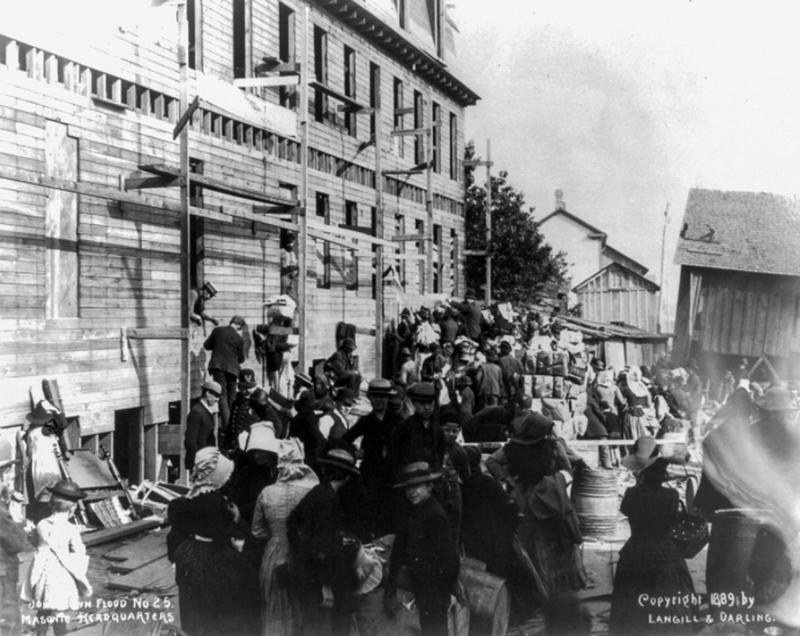 When news of the calamity broke, donations and volunteers poured in from around the United States and the world. 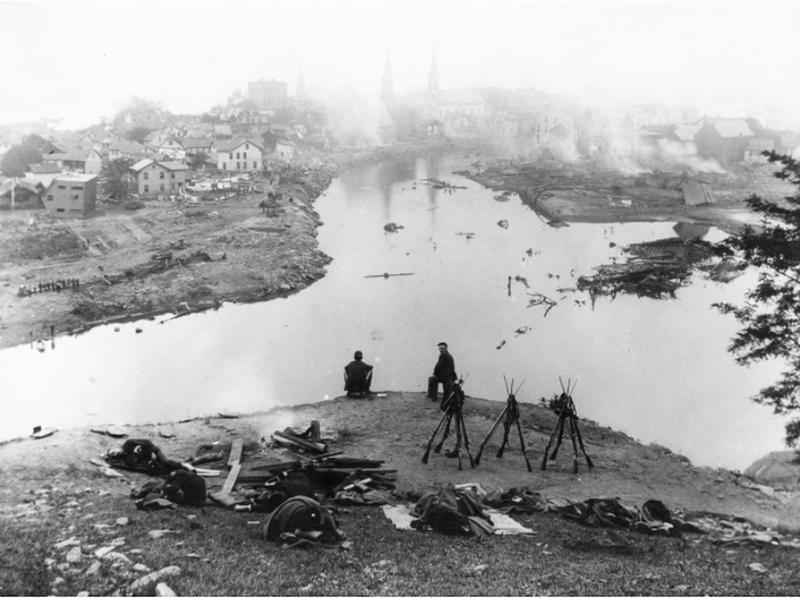 One of the first helpers to arrive was Clara Barton, who had founded the American Red Cross just a few years earlier. 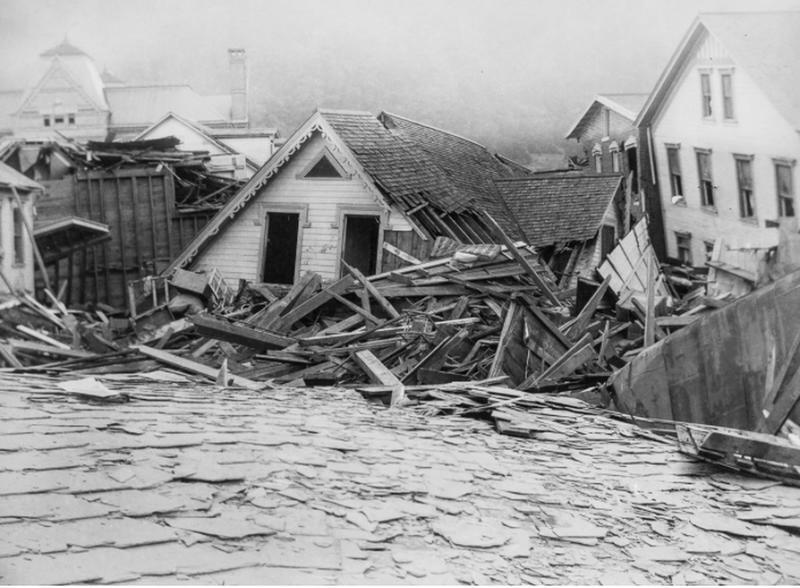 She led the group’s onsite relief efforts for five months straight. 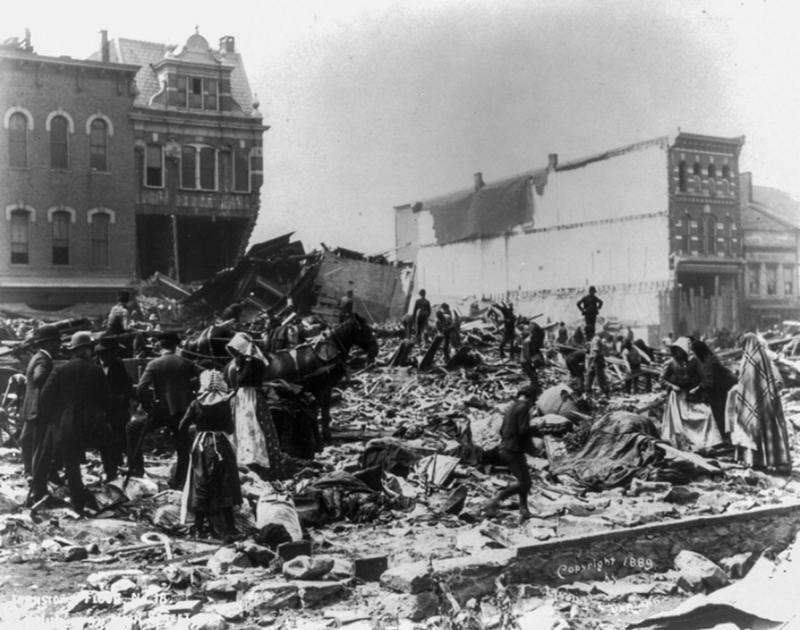 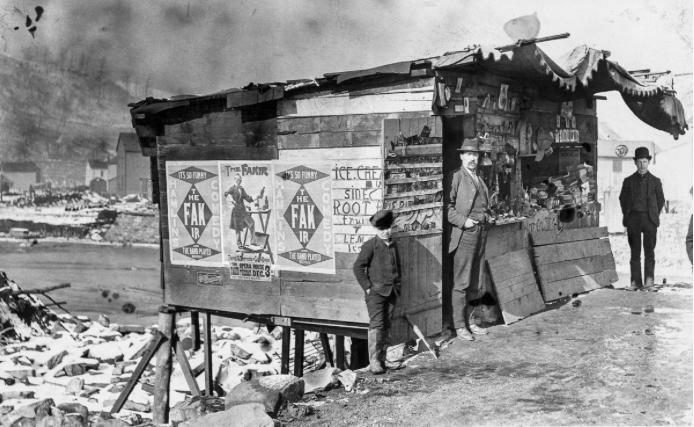 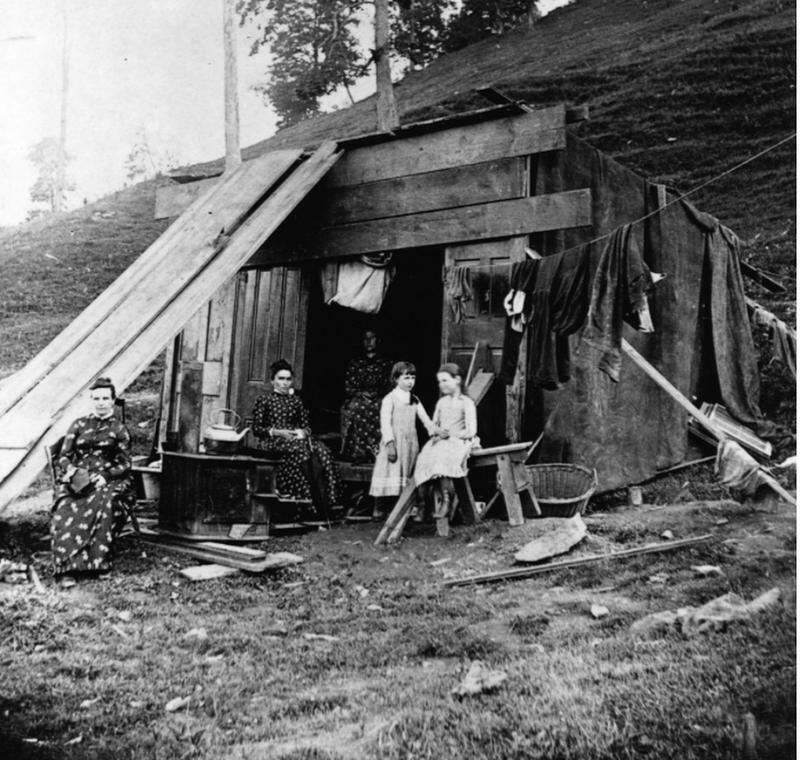 Survivors pitched tents and assembled ramshackle shelters as they began the grim tasks of counting the dead and rebuilding the pulverized town. 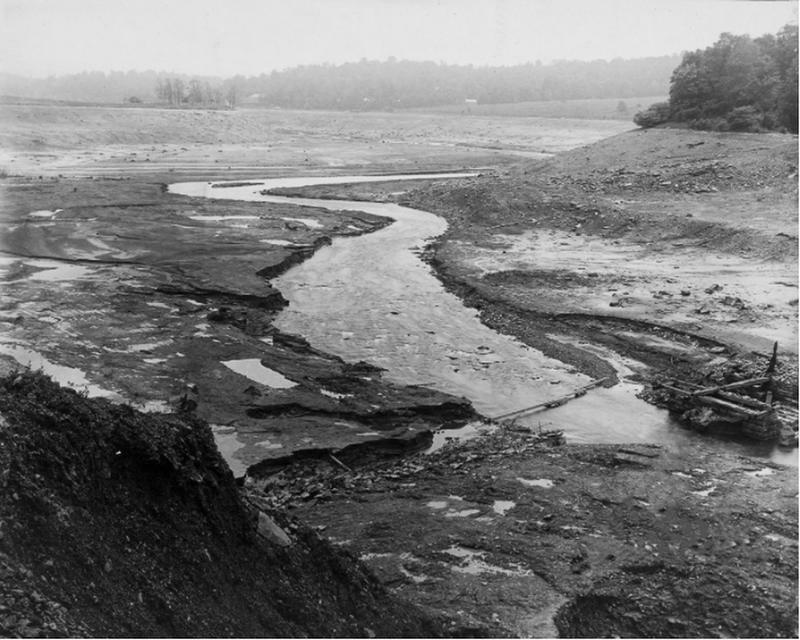 A lawsuit was filed against the wealthy owners of the South Fork Fishing and Hunting Club for failing to properly maintain the South Fork Dam, but failed because negligence could not be proven on the part of any individual — a disappointing ruling that would result in changes to liability laws in many states. 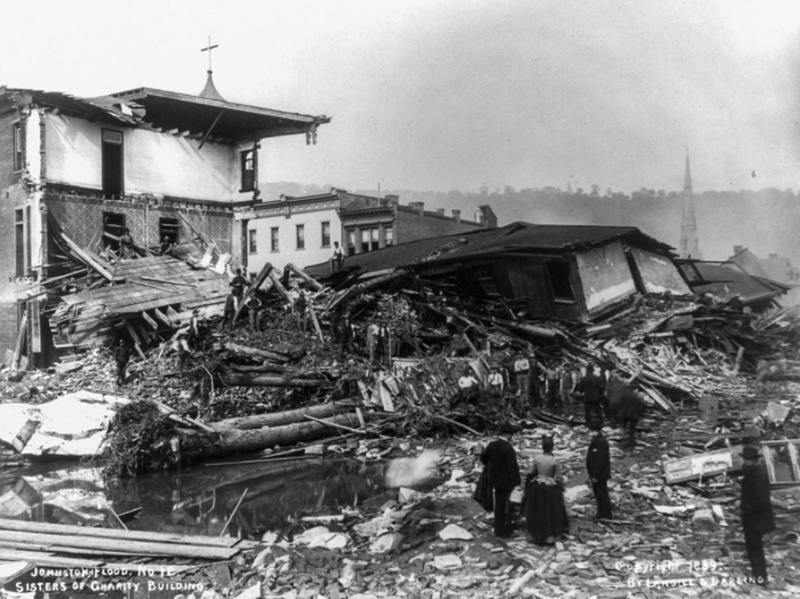 One telegraph operator says he counted sixty-three bodies in twenty minutes floating past his office. 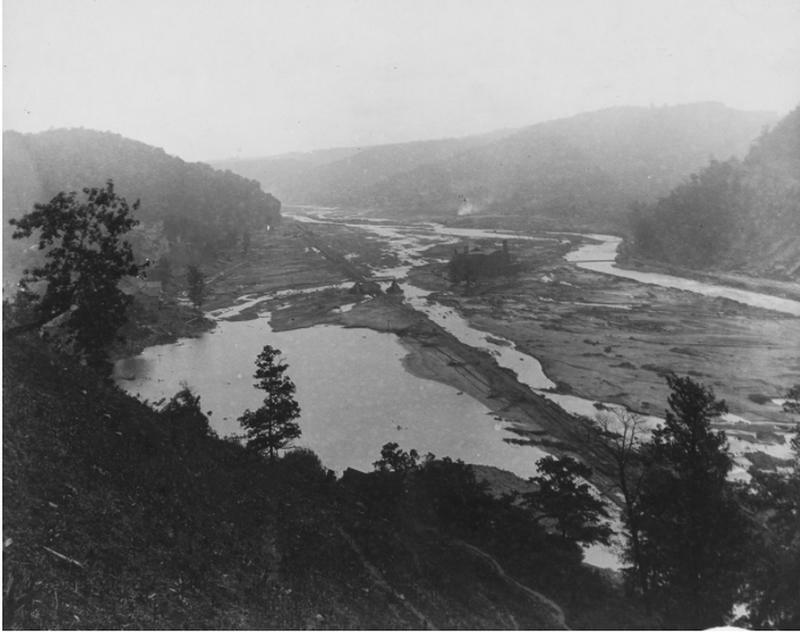 The cause of the calamity, it is admitted by the President of the South Fork Fishing Club, the proprietor of the artificial Conemaugh Lake, was the weakness of the dam alone.... 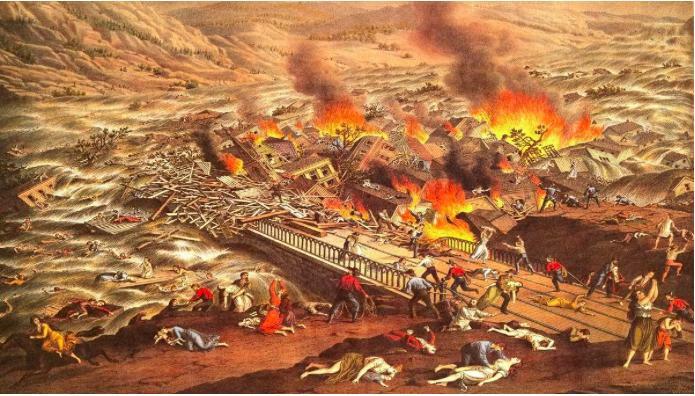 The frailty of the dam and the tremendous pressure of water behind it was the only cause of the catastrophe.